NEW DELHI (AP) — Indian police on Tuesday arrested five rights activists for suspected links to Maoist rebels in raids on their homes and offices in several places in the country. Police also accused the five of delivering speeches that triggered protests and violence between low-caste Dalits and right-wing groups near the western city of Pune in December. The government says Maoist rebels, who are active in several states, are India's biggest internal security threat. The rebels, inspired by Chinese revolutionary leader Mao Zedong, have been fighting the Indian government for more than four decades, demanding land and jobs for tenant farmers, the poor and indigenous communities. 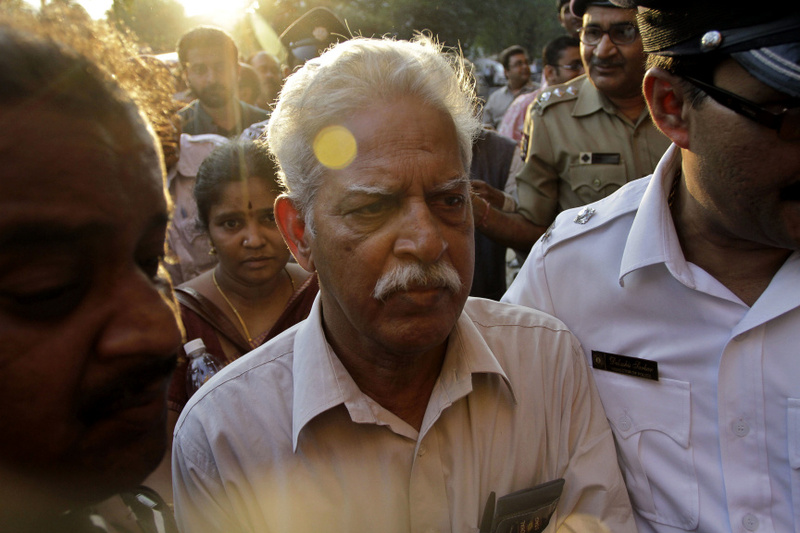 Those arrested Tuesday were Telugu-language poet Varavara Rao in Hyderabad, Vernon Gonzalves and Arun Farreira in Mumbai, and Gautam Navalakha and Sudha Bhardwaj in New Delhi and a neighbouring town, the Press Trust of India news agency said. The government crackdown was condemned by Aakar Patel, executive director of Amnesty International India, who said the arrests threatened core human rights values. "All these people have a history of working to protect the rights of some of India's most poor and marginalized people. Their arrests raise disturbing questions about whether they are being targeted for their activism," Patel said. Amitabh Behar, CEO of Oxfam India, said the government should protect people's rights to freedom of expression, association, and peaceful assembly instead of creating an atmosphere of fear. Police said the five activists arrested on Tuesday incited Dalits, members of Hinduism's lowest caste, to counter right-wing groups at a rally on Dec. 31, leading to violent clashes that left one person dead. Caste prejudice is endemic in Hindu-majority India, even though the constitution outlaws the practice and has made it a crime punishable by up to a year in prison.